You are at:Home»Lifestyle»Health/Medicine»Why Do We Have Daylight Saving Time? 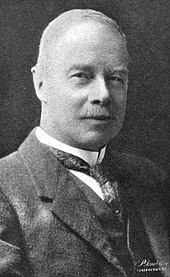 The first serious advocate of the idea of Daylight Saving Time (or “Summer Time” in Britain) was a British scientist that emigrated to New Zealand, George Vernon Hudson, who put forth the idea back in 1895. The first use of changing the clocks for the national benefit was during World War I, when the Austro-Hungarian Empire and the German Empire both went to Daylight Saving Time (Sommerzeit for you speakers of German) on April 30, 1916. Monkey see, monkey do, or so they say, and the United States followed in 1918. The idea caught on around the world, especially with World War II and then the 1973 Arab Oil Embargo and Oil Crisis that led countries to seek ways to conserve energy. Roughly half the world uses Daylight Saving Time, mostly in North America and Europe, as well as the Middle East. Most of Africa does not bother with the tedious changing of the clocks, and adherence to the energy saving scheme in Asia is spotty. Most equatorial nations do not find a need to bother with adjusting the clocks, though there are some such countries and territories that do so anyway. Australia is one of the countries that does not uniformly adhere to or reject DST, creating a rift deeper than the Grand Canyon between Australians on 2 different time clocks. (Not really. I made up the part about the rift, but the country is really split on DST.) 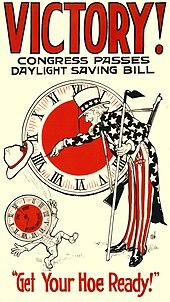 Some countries have a checkered history of on and off use of DST, such as Russia/USSR, which has sporadically used DST and even for a while ran their country on “permanent DST,” though they are currently on “permanent Standard Time.” The first known use of Daylight Saving Time was in 1908, in a little Ontario city called Port Arthur (now part of the City of Thunder Bay, Ontario). Map of Thunder Bay’s seven municipal wards. Map by Vidioman. Critics of DST claim the practice creates lots of extra work for electronic devices, medical equipment, and heavy equipment and systems that need to be rebooted twice per year. These critics point out that although computers can easily be programmed to deal with DST, the lack of uniform adherence to the practice can mess computers up for those people that travel or do business across boundaries of areas that do or do not adhere to DST. Billing, record keeping, travel and schedules all fall prey to confusion caused by DST. Workers complain about having to work an extra hour in the Fall, but seldom complain about getting off an hour early in the Spring at “Spring Ahead” time. Police reports can be pretty confusing when an incident straddles the designated time for changing the clocks, as does any activity related to keeping track of time. How about medical dosing and schedules? George Hudson invented modern DST, proposing it first in 1895. The great American statesman and scientist, Benjamin Franklin, is often cited as being the inspiration for creating Daylight Saving Time, but his 1784 satirical letter to a French magazine in which he proposed getting up an hour earlier could save candles and that window shutters should be taxed was just a joke. Likewise, his recommendation that cannons and bells be used to wake up everybody in France at the same time each morning was not a serious proposal. Other people through history modified their schedules to coincide with the changing daylight hours throughout the year, but not necessarily by changing the clock setting. Sports enthusiasts seem to love DST, as do vacationers and people generally tied to outdoor activities. Store owners and those connected to night time activities are strictly opposed to DST, and sometimes call it “Daylight Slaving Time.” (How clever!) British Lion and wartime leader Winston Churchill was an advocate of DST, while prominent bankers and industrialists opposed the measure. (Despite initial resistance by retailers, modern retailers find DST to be a positive factor in their business profits.) Meteorologists also generally oppose DST, but heck with them and their wrong weather predictions! Picking an exact date for the time switch is also often debated, relying on such important criteria as when Trick or Treating takes place. The debate about DST has created an uneven history of adherence to the idea, and even the objectively quantifiable data about supposed energy savings is disputed. The location on the Earth is a major consideration when choosing to adopt DST or not, with little advantage at all seen in very high latitudes, with Summer days being excessively long anyway. Equatorial regions have little seasonal difference in daylight, making DST a trivial concern. Energy saving models often find that saving energy by using less electric light is offset by increases in heating and cooling costs. Studies that attempt to use traffic accident fatalities as justification for DST have been inconsistent and generally fail to rise to the level of being a compelling argument for DST. The short term effect of “Springing Ahead” in the Spring, resulting in an hour less of sleep, is believed to result in an increase in worker injuries the Monday after the Spring time change. Oddly enough, some British studies imply that accidents of all types increase after the Fall time change! Proponents argue that DST reduces the number of darkness related crimes, such as muggings and rapes. As recently as 2017, the American Economic Journal: Applied Economics reported that DST costs Americans about $275 million annually in various ways, including accounting for about 30 deaths per year! Medical researchers are not exactly in agreement about the effects of DST, though those concerned with sunlight related problems, such as skin cancer and eyesight problems, generally opine that DST results in a higher exposure to unwanted UV rays by susceptible people. Other medial researchers claim the longer daylight hours result in increased exercise for the general public, hence increased health. The period of time directly related to the changing of the clocks is also claimed to result in a 10% increase in the risk of heart attacks. Supposedly the circadian rhythm disruption caused by the time change has physical consequences that last for weeks, but seriously, are all people so tied to a particular bedtime that an hour difference twice a year can throw them off so much? Heck, many folks go to sleep at different times on different nights, anyway, based on television shows, whether or not they have to go to school or work the next day, etc. What about holidays messing up someone’s circadian rhythm? The debate about DST goes on and on, with vehement arguments on both sides. Questions for Students (and others): Do you find the time change each Spring and Fall to be disruptive? Do you look forward to DST each Spring? 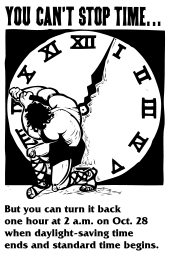 Would you vote for or against keeping DST? Please let us know in the comments section below this article. Subtropical climates are highlighted in yellow on this map. People living in these areas may consume more energy as a result of DST. Map by Maphobbyist. Downing, Michael. Spring Forward: The Annual Madness of Daylight Saving Time. Counterpoint, 2005. Prerau, David. Seize the Daylight: The Curious and Contentious Story of Daylight Saving Time. Thunder’s Mouth Press, 2006. The featured image in this article, a poster titled “VICTORY! CONGRESS PASSES DAYLIGHT SAVING BILL” showing Uncle Sam turning a clock to daylight saving time as a clock-headed figure throws his hat in the air, is available from the United States Library of Congress‘s Prints and Photographs division under the digital ID cph.3g10663. This media file is in the public domain in the United States. This applies to U.S. works where the copyright has expired, often because its first publication occurred prior to January 1, 1924. See this page for further explanation. Next Article April 1, 1970: The AMC Gremlin, Another April Fool’s Joke?